Overall, about seven percent of kids said they had ever used opioids without a prescription and two percent had used heroin. Both proportions decreased over time, however. In 1997-1999, 10 percent said they had abused opioids, compared with five percent in 2012-2014. Similarly, 2.3 percent reported ever having used heroin during the first period, compared with one percent in the second period. Half of teens said they had been involved in sports and exercise almost every day, with 39 percent participating once a week at most and eight percent not participating in sports at all. 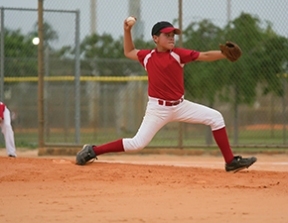 Playing sports appeared to have a protective effect, researchers said. Among kids who played no sports, 11 percent said they had used opioids without a prescription, compared with 8 percent of those playing sports at most once a week and 7 percent of those playing sports every day. Sports also provide structure in daily life, and there is usually some adult present watching these young athletes at all times, he said. Athletes in high-contact sports that are high injury and hypermasculine may be more likely to self-medicate with opioids or try heroin, he added. © 6920 Chicago Hispanic Newspaper, Lawndale News, Hispanic Bilingual Newspapers, Su Noticiero Bilingue. All rights reserved. XHTML / CSS Valid.